…And Washington State is certainly NOT alone! The Washington State economy has been relatively better off than some of the hardest hit areas. Our economy tends to lag the rest of the nation by about 18 months. This used to be due to our dependence on Boeing and the fact that the airline aircraft order cycle tends to be out of phase with business cycles due to the lag time. Now, of course, our economy is way more diverse with companies like Microsoft, Amazon, Starbucks, and other high tech companies as well, many of which now reside in Bellevue, just east of Seattle. Incidentally, the Bellevue area still looks like a high tech boom town and is Washington State’s version of Orange County – you know, modern, clean and nice looking. I just drove the length of I-5 from LA to Seattle and can tell you that I-5 in California does not look as well kept as it did in the past. There are areas where the weeds are growing several feet tall on the shoulders and the freeway is noticeable deteriorating in certain areas, something that I’ve never seen before on I-5. At any rate, I have read three articles in the local Puget Sound Business Journal lately that underscore how deteriorating credit conditions are finally impacting Washington State. In the second quarter of 2009, Washington state taxable retail sales dropped 14 percent compared with the same time a year earlier; a quarterly decline so large that state officials said it set a new record. Sales fell to $25 billion in the latest April-to-June quarter. In the first quarter of 2009, sales fell 12.8 percent compared with the first quarter of 2008. 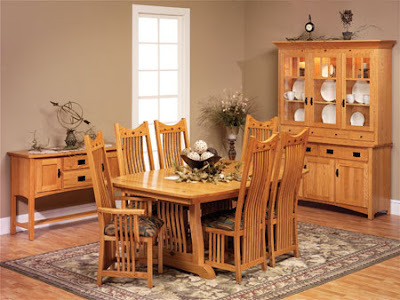 In the fourth quarter of 2008, sales fell 10.8 percent compared with a year earlier. Those two quarterly drops are the second and third-largest declines since the 1974, when the state said reliable records began being kept. Among the biggest declining industries in the latest quarter, retail sales from construction dropped 26 percent to $4.3 billion and motor vehicle and parts dropped 21 percent to $2.3 billion. In Seattle, total taxable retail sales fell 13.1 percent to $3.8 billion in the second quarter. This is the type of revenue hit that all municipalities are facing. Yes, they have the power of taxation, but buyers and holders of municipal bonds need to be paying attention. RISK is rising while at the same time the Federal government is artificially forcing interest rates down. This can and will eventually snap back – as interest rates rise, the price of bonds fall. Now, please consider the percentage drops in taxable sales and compare them to the statistics being reported in such phony baloney statistics as Goldman’s ICSC or the Redbook who’s greatest yoy sales decreases are in the 4+% range. Why the discrepancy, and how can retail sales only be down 4% per year when imports are down 30%+ year over year? Here’s the answer… just like the stock market indices, these “indices” are vulnerable to SUBSTITUTION BIAS. If you are measuring same store sales, for example, how does that “index” handle it when one of their store chains goes out of business? Why they are no longer counted, of course! So the index only counts companies that are still around and does not capture those that have gone out of business, just as the DOW Jones Industrials doesn’t capture the fact that only one of the original companies in the index, GE, is still in business and that ALL THE REST HAVE FAILED or been bought up by other companies. So, that’s why the sales tax data captures what is really happening in the economy and why those other reports are close to worthless. The Port of Tacoma has decided to shelve a $1 billion plan for a massive terminal and waterway development project until cargo volumes return. The port announced Oct. 1 that it won’t build the planned $300 million, 168-acre terminal on the Blair Waterway for NYK Line, which is to start calling at the port in 2012. The terminal project was just part of a $1 billion port development plan that included building roads, railway connections and a new terminal for Tacoma-based Totem Ocean Trailer Express Inc., which operates cargo vessels between Tacoma and Anchorage. All of these steps were necessary to develop the NYK terminal. Tokyo-based NYK will still come to the port. 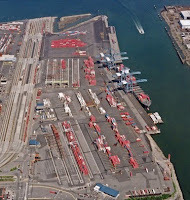 It will share space with Horizon Line at the existing AP Moeller terminal directly in front of Port of Tacoma headquarters on the Tacoma Tideflats. “I will be able to see their ships from my desk,” said Port of Tacoma spokeswoman Tara Mattina. Totem Ocean Trailer Express Inc., also called TOTE, will stay in its current terminal on the Blair, she said. The port decision was driven by declining cargo volumes, which are down 15 percent so far this year, coupled with a 20 percent increase in the cost of the larger development plan, Mattina said. “This is one way to bring NYK without spending that money,” she said. Last year, container volume at the port dropped 3 percent to the equivalent of 1.9 million 20-foot containers. The worsened slide this year could pull volumes down to 1.6 million containers for 2009. In a statement, Port of Tacoma Executive Director Tim Farrell called the decision “an important step to balance supply and demand,” which leaves the port with room for “substantial growth” in the long term. That’s $1 billion less that is not going to ripple through the local economy. Notice they don’t do the math for you to express how much container traffic is down this year… well, the .3 million of 1.6 million containers equal an 18.75% drop in container traffic this year, right in the same range that retail sales are down, how ‘bout that?! A big hole in the ground at Second Avenue and Pine Street in downtown Seattle, next to Macy’s parking garage, should be filled just in time for the holidays. Connecticut-based Starwood Capital Group Global, which had planned to construct a luxury hotel and condominium tower on the site, mothballed the project when the economy soured. Starwood will start filling the excavation next week, according to a company spokesman. The firm will retain ownership of the property. Work on the 23-story 1 Hotel & Residences stopped in the fall of 2007 after Starwood Capital failed to obtain construction financing on acceptable terms. Starwood bought out its former partner in the project, Portland developer Paul Brenneke, in June 2008. Note that it was only the middle of last year that Starwood took on this project and already they are abandoning it and filling in the foundation! Perhaps their “forecasts” were a little optimistic about the strength of the Seattle area? All three of these stories show the result of a collapsing credit bubble. Consumer spending, port traffic, hotel/travel traffic… all way down. Down so far that the numbers no longer can justify the huge expense. $1 billion on just one port expansion? Last time I checked, a billion was still a lot of money. That money must come from somewhere, and that somewhere for local governments is usually through bond offerings. They don’t number out, and that’s because the price to build, just like subprime housing, has reached ridiculous heights on the back of cheap credit, the largest credit bubble in the history of mankind. DEFLATION is what’s required to bring the math back in line. Stop building ridiculous hotels, stop spending billions on port expansions, consumers stop spending money they don’t have and price will fall back in line with EARNINGS. This is the cleansing of misallocation that is CAUSED BY OUR OWN GOVERNMENT and their failure to regulate the creation of money. Of course, if you peruse the Puget Sound Business Journal, you’ll find all kinds of articles and opinions by “experts” talking up the strength of the area and putting their naturally positive spin on the situation. The truth is that Washington State is not all that far behind California in relation to it’s size. Washington's projected budget deficit has ballooned to $5.1 billion, nearly $2 billion more than predicted just two months ago. That means when lawmakers convene in January to assemble the next two-year spending plan they'll have to drastically cut state programs or raise taxes, something Gov. Chris Gregoire has said she won't do. "This will be ugly," said Rep. Ross Hunter, D-Medina, chairman of the House Revenue Committee. "It's much larger than I expected it to be." Tax revenues are expected to drop $1.9 billion below the state's former projections, meaning a possible doomsday for some programs -- and substantial belt-tightening just about everywhere else. In September, the state's projected deficit for the 2009-2011 biennium was pinpointed at $3.2 billion. Now, not only has that deficit burgeoned to $4.6 billion, but the state's current budget is also suffering a $500 million shortfall. Let’s see… that’s $5.1 billion short of a $30 billion budget, hmmm…. The trusty calculator says that’s a 17% shortfall, once again the same exact range as the numbers we’re seeing in the articles above – HUGE! That $5.1 billion divided into the state’s 6.5 million people means that the one year shortfall equals $785 for every man, woman, and child ($3,140 for my family of four), for just the year 2008 and just for the state’s shortfall, not the local town and not the Federal Government, just the State. And Washington State is certainly NOT alone. The following study was published just last week from the Center on Budget and Policy Priorities. It lists the current and forecast shortfalls for all the states including the years 2010 and 2011. Keep in mind as you see the horrific numbers in this report that those projections are forecasts which are proving to be wildly optimistic in their assumptions.